Def Leppard have announced details for their second Las Vegas residency. Following a 2013 series entitled "Viva Hysteria! ", the UK rockers return late this summer to perform “Def Leppard Hits Vegas: The Sin City Residency” at the Zappos Theater at Planet Hollywood Resort & Casino. The 12-show event will run from August 14 - September 7 and include three shows each week, with Friday and Saturday concerts throughout the schedule (see below for dates). "Five years ago, we played our first-ever residency in Las Vegas which was relatively new ground for a rock band giving this kind of experience… I have to say, we really enjoyed it!,” raves singer Joe Elliott. “Being in one place for the best part of a month is vastly different to our normal city to city touring routine. Breaking this cycle adds another element to the experience for both us and the audience. "We look forward to seeing you at the Zappos Theater this summer!" "Planet Hollywood transformed the entertainment landscape in Las Vegas with the first pop residency,” adds Caesars Entertainment President Of Eentertainment Jason Gastwirth. 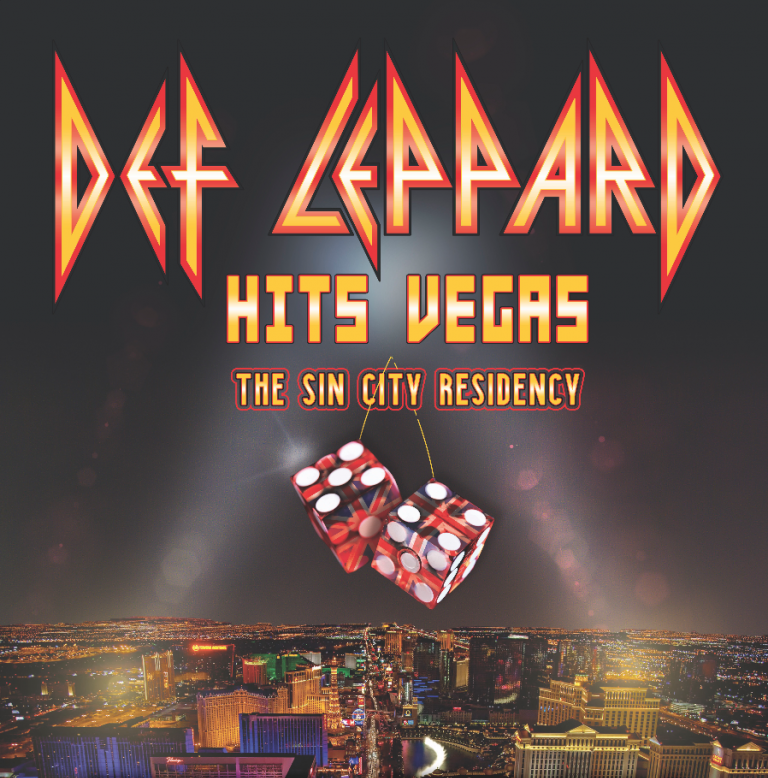 “We are proud to be at the forefront of rock residencies as well and treat the city's visitors to a new type of experience with Def Leppard." A Rock Brigade Fan Club presale for “Def Leppard Hits Vegas: The Sin City Residency” will begin Thursday, Feb. 14 at 10AM PT, with general public tickets on sale starting Friday, February 22 at 10 a.m. PT. Def Leppard will begin their 2019 live schedule at the Sweden Rock Festival on June 6 as part of a summer trek across Europe before launching a Canadian tour in July.